Mobile phones are the masters of convenient tech. 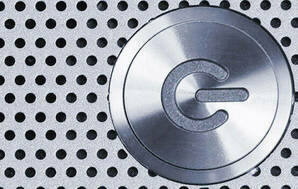 They have absorbed the functions of many other devices, putting them all into one easily pocketed device. There’s no halting the march of technological advances. Sometimes improvements merely tweak existing tech, other times a whole eco-system of devices gets replaced. Many devices become obsolete due to the medium they used: no video tapes mean no use for a VCR, and try finding a computer with a floppy disc drive. But some gadgets also get ditched because a superior technology becomes cheaper or more accessible: plasma screens, then LED, condemned cathode-ray tube TVs to history and even doctors are ditching their pagers for apps. Dead formats and cheaper, better and more convenient tech are reasons why mobile phones have, in the space of a decade, become the all-in-one device. With manufacturers continuously improving and refining their hardware and software, the rate of mobile phones assimilating other products shows no sign of slowing. 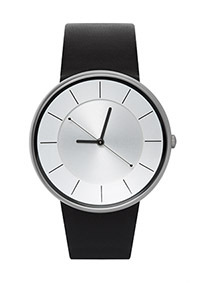 Telling time on the move was once the preserve of an analogue wristwatch. Early versions needed to be wound manually each day. Then came battery-power, followed by cheap digital watch technology. However, once mobile phones displaying a digital clock became commonplace, many people found a wristwatch for telling the time became redundant. And your phone wasn’t just a clock – it became a personal assistant with a calendar and notifications of events. The clock assimilation was just the start. Looking back at our February 2010 magazine (Consumer 499), our top-performing phone had a 5MP camera and 32GB of storage, and cost $1000 ($1118 in today’s dollars). It was the Nokia N97, an early smartphone with a slide-up screen that revealed a full physical QWERTY keyboard. While the N97 was a good phone, a revolution was looming that would put several products on the endangered gadgets list. At the end of 2010, the iPhone 4 launched, and the bell began to toll. The iPhone 4 had a forward-facing camera, high-definition screen and could record HD video. For camcorder manufacturers, this was terrifying. It used to be difficult for consumers to capture video. While cameras were commonplace, few people owned video cameras. Camcorders were bulky and slow, and many still used tapes to record footage. Even if you had a camcorder, editing footage required specialised equipment. 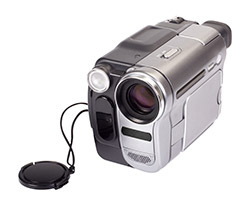 In the late 2000s, Flip Video changed the camcorder game. Its small digital camcorders were affordable, pocket-sized, operated at the press of a button and, by 2009, captured HD video. Flip was bought by Cisco in 2009, but it was already dying technology. Cisco shut it down in 2011. Flip’s death, and the inevitable demise of the basic camcorder market, lie at the feet of mobile phones. We last reported on camcorders in 2013. Our top performer in that test, a Sony HDR-TD20V, cost $2519, weighed over half a kilogram and captured 1920x1080 (HD) video on to a 64GB SSD. It had a built-in GPS receiver for recording location data to your video. The iPhone 5, released in late 2012 also captured HD video, had up to 64GB of storage, and had a GPS receiver – all in a package that weighed a little over 100g, cost half the price ($1049 to $1349), and could still do so much more. The final fling of the separate camcorder could be the action camera. It has found a niche, operating in conditions and locations where you don’t want to (or can’t) put your phone. Digital compact cameras aimed at consumers appeared in the mid-1990s. Over the following two decades, cameras got smaller and packed more megapixels. In our November 2009 issue (Consumer 497), we recommended the Canon Digital Ixus 870 IS as the best “ultra compact” camera. It cost $419, weighed 155g, and packed 10 megapixels and a 4x optical zoom into a device the size of a bar of soap. 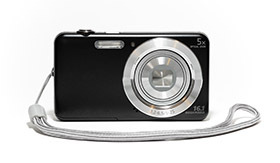 In just a few years, compact cameras like the Ixus would be challenged by smartphone cameras. In 2012, the Sony Xperia P smartphone would have been one of the highest-scoring compact cameras if it had been included in our test. It had an 8MP camera with flash (it also captured full HD 1080p video). The smartphone format offered much more than just decent images – it was convenient to use, with touchscreen focus control and the ability to edit and share photos immediately. In 2016, our test of 135 compact cameras included some smartphones. The Samsung Galaxy S6 Edge was the top-scoring phone, with 64% overall, placing it in the top 30. It had the same image quality as the $1835 Leica V-Lux compact camera. The other major change in the past decade is music – notably, how we listen to and pay for it. Cassettes signalled the beginning of portable music. In 1979, the first Sony Walkman changed listening habits by allowing us to listen to recorded music on the move. Mobile phones got in on the act when the digital MP3 format arrived. The same storage medium used for photos, video and computer files could also store music – and lots of it. The portable tape deck evolved into the portable digital music player, which, in turn, was incorporated into the mobile phone. In 2013, we tested 63 phones. Four didn’t have cameras and 15 didn’t have internet access, but only one didn’t have a music player. But while you could take more music on the move with you, it was far from perfect. You likely had to wrestle with different “music player” apps and managing your music meant fiddling with file transfers and compatibility. Streaming fixed all that by removing file format problems and using a single cross-platform login. It also meant you could access far more music than you could ever hope to store. 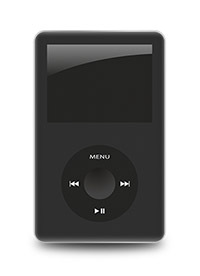 This music revolution solidified the phone’s position as the default music player for the masses. The original breakthrough of the Motorola DynaTAC 8000x mobile phone in 1983 was the ability to make and receive voice calls away from a fixed landline. These days, making a call is the most basic and least glamourous function of a mobile phone. 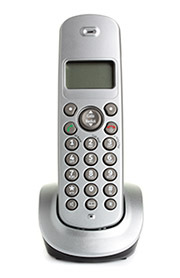 In 2008, we tested cordless home phones from six different brands. By 2013, just two brands sold cordless handsets in New Zealand. We used to test two or three batches every year; now we assess them just once a year because cordless phone technological progress has ground to a halt. A Consumer Recommended Panasonic KX-TG1611 handset costs just $45, while $100 buys you a pair of Recommended handsets with answerphone. Now, calling on a mobile phone is as cheap as calling on a landline. Coupled with the unbundling of ISP phone and data packages (meaning you could buy an internet connection without buying a landline) and more households turning to fibre broadband, the demise of the home line is on the cards. Just a decade ago, functions we now consider core to a smartphone would have been found in a compact camera, a bulky camcorder recording video to tape, and an iPod playing our personal digital music collection or Walkman playing compact discs. The mobile phone was limited to making voice calls, sending text messages and showing the time. Accessing the internet was limited to a home ADSL connection. Now, those functions have evolved to instant media sharing through high-speed mobile internet, streaming audio and video services, and high-quality still and video recording, editing and sharing – all contained on a device that fits in your pocket and can be operated with one hand. What’s next to be assimilated by the ubiquitous mobile phone? 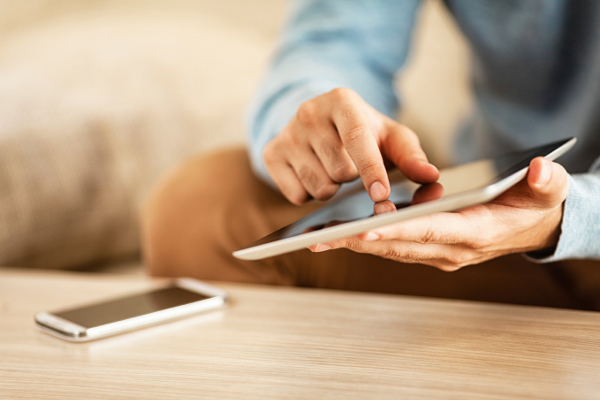 Tablet development has stalled and sales are falling as mobile phone screens get larger. And take a moment before spending a few hundred dollars on a GPS navigation device for your car. Our recent tests show smartphones running Google Maps do just as good a job. It’s impossible to accurately predict technology trends (hands up if you remember reading any “rise of the paperless office” articles? ), but recent history has shown that change is certain.